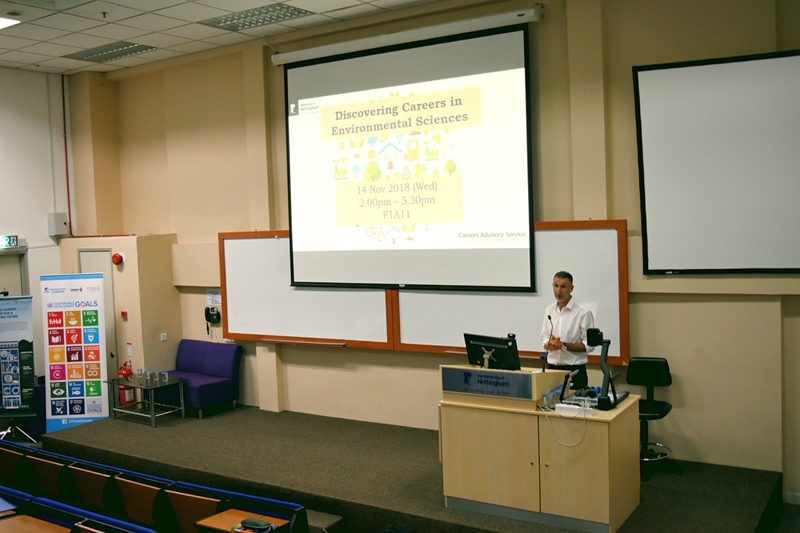 Careers Advisory Service (CAS) initiated “Discovering Careers in Environmental Science”, which aims to develop better understanding on the requirement and expectations of employers in the relevant industries. 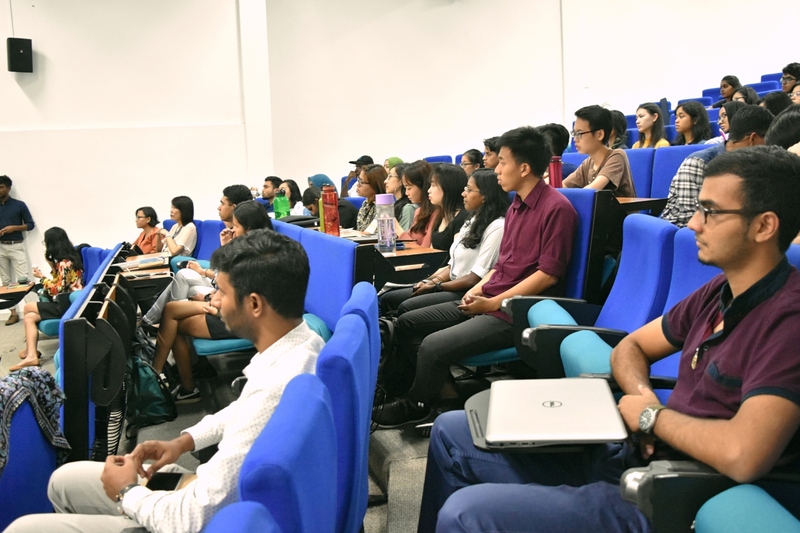 In addition, it serves as a medium for students to explore and gather information for internship and future career, and for them to be well-prepared for the transition from university to workplace. On 14 November 2018, the event has been carried out from 2p.m. to 5.30p.m. located at F1A11, which saw the participation of more than 50 Environmental Science students from year 1 to year 3. 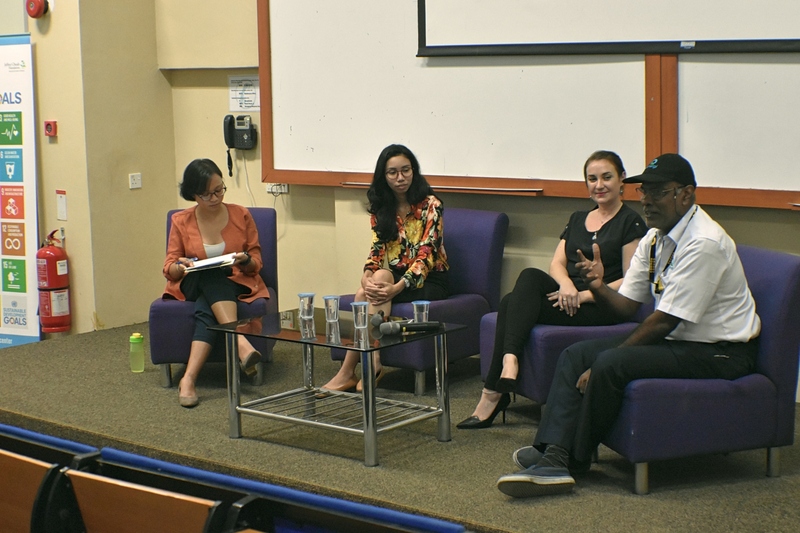 The invited guest speakers were Mr. Ernest Ravaratnam, the Group CEO of Cenergi SEA Sdn Bhd; Ms. Kayleigh Hughes, the Senior Consultant of Impact Assessment and Planning, Environment Resource Management (ERM); and Ms. Jasmin Irisha Jim Ilham, Research Associate of Jeffrey Sachs Center for Sustainable Development, who is UNMC alumnus. 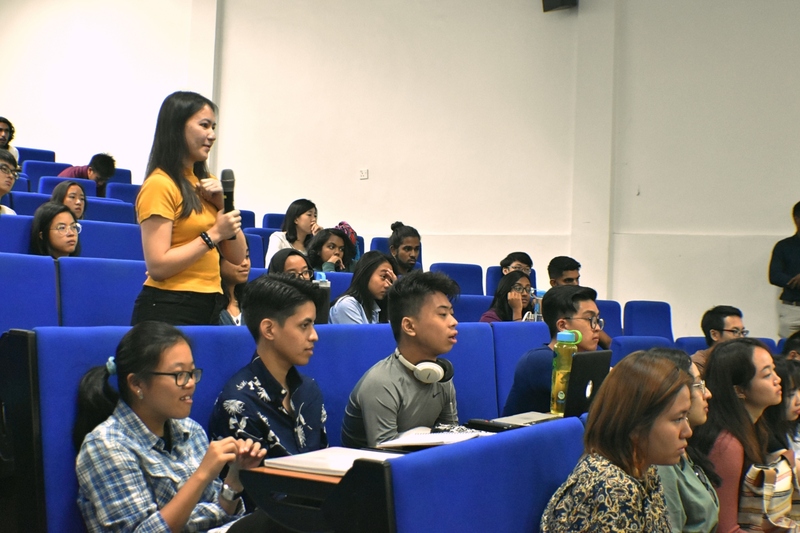 CAS also welcomed the return of 2 Environmental Science alumni; Farah Addina and Syaqil Suhaimi, who are currently working at Cenergi. 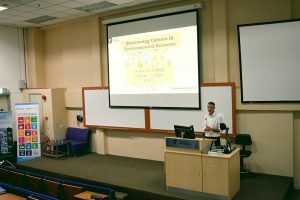 This event comprises of two main sessions; company presentation and panel discussion, where the guest speakers and alumni shared their insights and experience about their career journey, job market, employers’ expectations and related careers advice. “It’s not about what you do, but it is the purpose of why you are doing. People involved in non-government organisations (NGO) is because they want to feel the sense of purpose.” Ms. Jasmin stated her view. 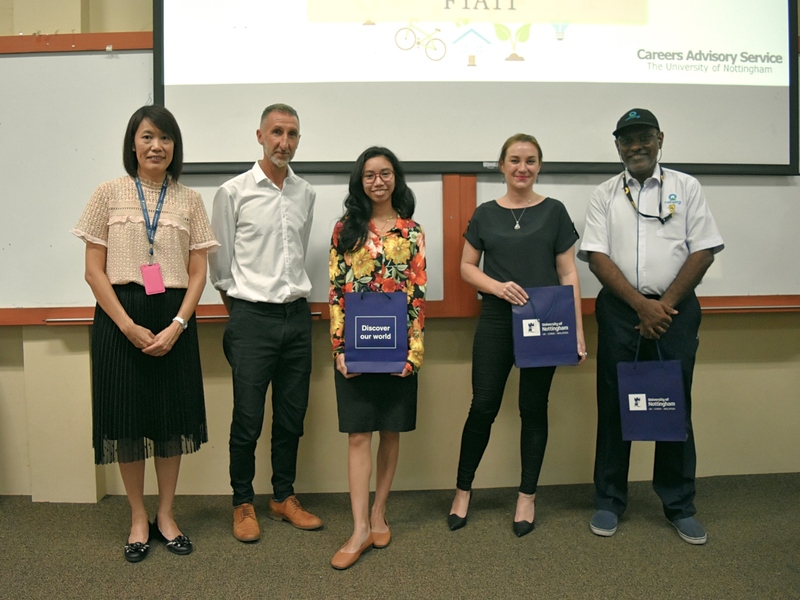 We hope that the students benefited from eye-opening session and we wish you all the best in exploring your career path in future! 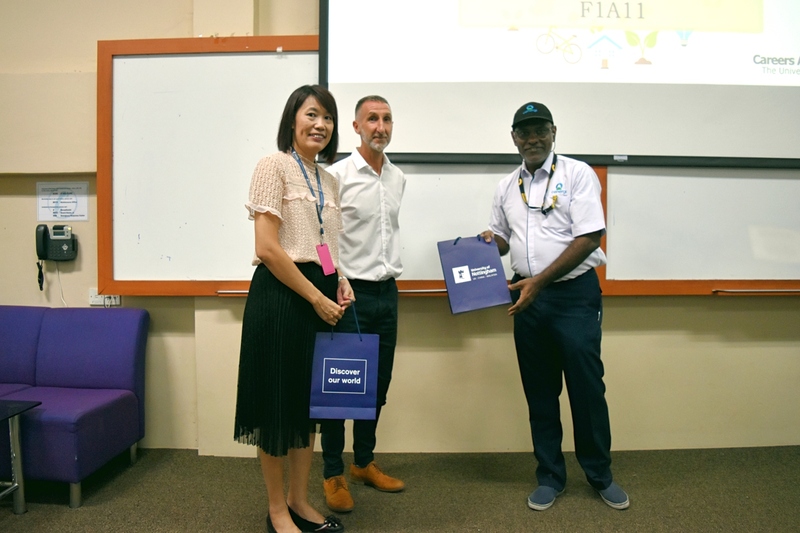 Last but not least, we would like to thank those who involved to make this event successful; support from School of Environmental & Geographical Sci, Prof. Christopher Gibbins, Dr. Wong Ee Phin, Dr. Siva, Dr. Matthew, the committees and the student helpers who helped out throughout the event.